For 15 years now, the Renault Foundation has been preparing talented students for successfully addressing emerging career opportunities, through training programmes in the fields of multicultural management, sustainable transport and road safety management. 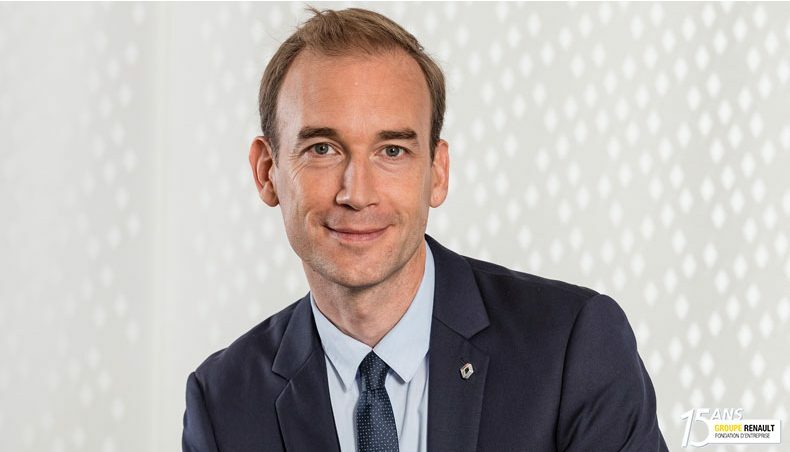 Renault Foundation director Oliver Faust talked to us about the Foundation’s missions and what motivates him in leading its operations. The automotive industry is undergoing a revolution, with fast-emerging new technologies, the advent of electric, connected and autonomous vehicles, and the widespread uptake of new transport practices. Then development leadtimes are shrinking, companies are taking on worldwide scope, and interconnection is becoming ubiquitous. The resulting challenges, momentous and exciting, require automakers to adapt fast and efficiently. This means innovating, working with new players, and developing new working practices. Crucially, it means keeping the company’s skills base up to date and acutely relevant. This is where the Renault Foundation steps in, in developing teaching programmes matched as closely as possible to emerging needs, and in training talented young people, providing them with versatile keys rather than blanket remedies, so that they’ll be able to adapt and keep learning as the industry continues to change. Over the past 15 years, the Renault Foundation has provided guidance and support for more than 950 students of 35 nationalities, in the areas of sustainable transport, multicultural management and road safety management. It develops its training programmes with foremost French and international centres of academic excellence, such as Paris Dauphine University, IAE Paris 1 Panthéon-Sorbonne, École des Ponts ParisTech, Polytechnique and Saint-Joseph University in Lebanon, providing funds for the high-potential students selected by these higher education establishments. The programmes address employment opportunities in sectors that hold substantial promise for future development. They combine theoretical classroom study with in-the-field practical work to ensure the students acquire a real familiarity with actual business practices as well as technical skills as such. This greatly enhances employability for the programme graduates. The results are conclusive: 96% of the graduates from the latest master’s courses in France were hired in less than six months. We’re proud of our achievements so far. And when I look at the career paths followed by the former graduates I’ve met, or worked with, I have no doubt at all as to the relevance and the excellence of these training programmes à la française. I’m also convinced that a company like Renault has a duty to support young people as they embark upon their careers, and prepare them for the realities of a world in which the capacity for innovation runs hand in hand with the ability to work efficiently with people from different cultures. Regarding the Foundation of the future, I’m delighted to be involved in promoting French and European culture to its future international managers in the countries where Renault operates, in planning ahead for the skills that will be emerging in tomorrow’s world of responsible transport, and in working in favour of equal opportunity and diversity. To sum up, I’m delighted to be involved in guiding and supporting the young people who will be writing the coming chapters in the history of the automobile. Check out the video of Groupe Renault CEO Carlos Ghosn meeting Renault Foundation students.